Blush is by far one of my favourite parts of makeup. The way it brings warmth to the face has always astounded me, I don’t know what is it about them but I do love me some blush! For everyday wear I reach for my favourite deep reddish brown matte blushes, they have the ability to bring life back into your face without having to go overboard. One or two even double as bronzers for me which I love! L-R: NYX Powder Blush in Spice, La Femme Redwood, NARS Dolce Vita, Jordana Terracotta Treasure Blush, La Femme Sienna Blush (great as a bronzer too), NYX Powder Blush in Cocoa. All of these are WoC friendly and most of these (bar the NARS blush) are pretty damn affordable! As I live in the UK not all of these blushes are as readily available to me so I have to shop overseas. Jordana Blushes, Milani Blushes and NYX Blushes from Beauty Joint. You can now pick up Milani and NYX more readily in the UK, try Beauty Crowd and Absolute Kolor for Milani and the NYX Cosmetics UK store for NYX obviously. I left out a few great blushes mostly because even though I love them I may not use them as frequently. To see a full round down of blushes I recommend for WoC click on my post HERE. What blushes do you reach for for everyday wear? Let me know! Previous Post HAIR // Grey Hair, Don’t Care! These all look amazing! I normally like to use deep red based blushers as I think it compliments the red undertones in my skin, but recently I've found myself reaching for golden/copper tones I'm a huge fan of Taos / Taj Mahal from Nars, and Ambering Rose by MAC. Ahaaa! Thankfully most of these of purse friendly! Taj Mahal is one of my ALL TIME favourite blushes! These blushes look amazing. I already have most of them in my collection. I'm kicking myself for not buying any Inglot products when I lived in London because they're almost impossible to find here in Atlanta. 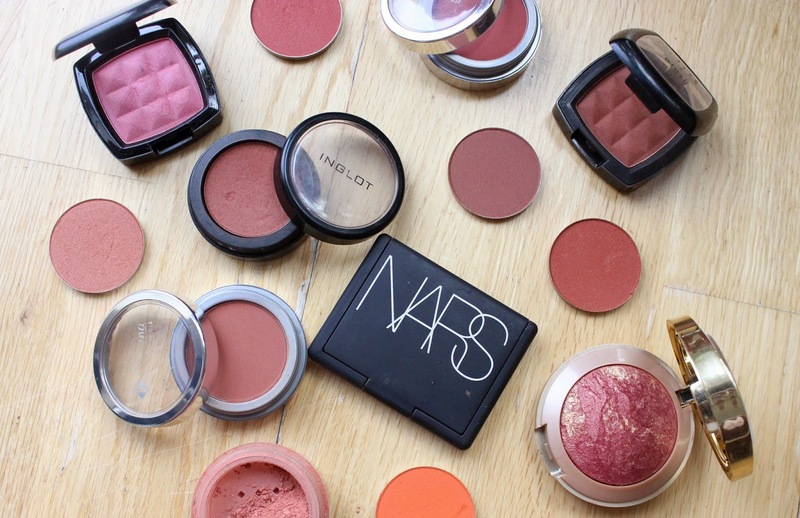 My everyday blushes are NARS Dolce Vita, Taos, and Liberty. I'm also very fond of Sleek's Coral, BECCA's songbird and MAC's sweet as cocoa for eveyday looks. Gurrrrrrrrl! Let me know what you want from Inglot and I can send them out to you, I'm always in the shop! I've never heard of BECCA's Songbird before, I'm gonna have to look that one up! Nice! Nars a really good blush from nars is taj mahal it is my favorite! Taj Mahal is one of my favourites too! I absolute LOVE it!